Serving up super fresh beers brewed both on-site and at our downtown pub, bomb sandwiches & snacks from our in-house bakery, and packaged beer to-go in a variety of forms. Enjoy stunning views of Mary's Peak in an environment that showcases our beer and the craftsmanship behind it. All ages are welcome all hours that we’re open! Enjoy a rotating tap list of beers brewed feet from your seat, as well as 2 Towns cider, Sprindrift wine, house-made root beer, and kombucha. 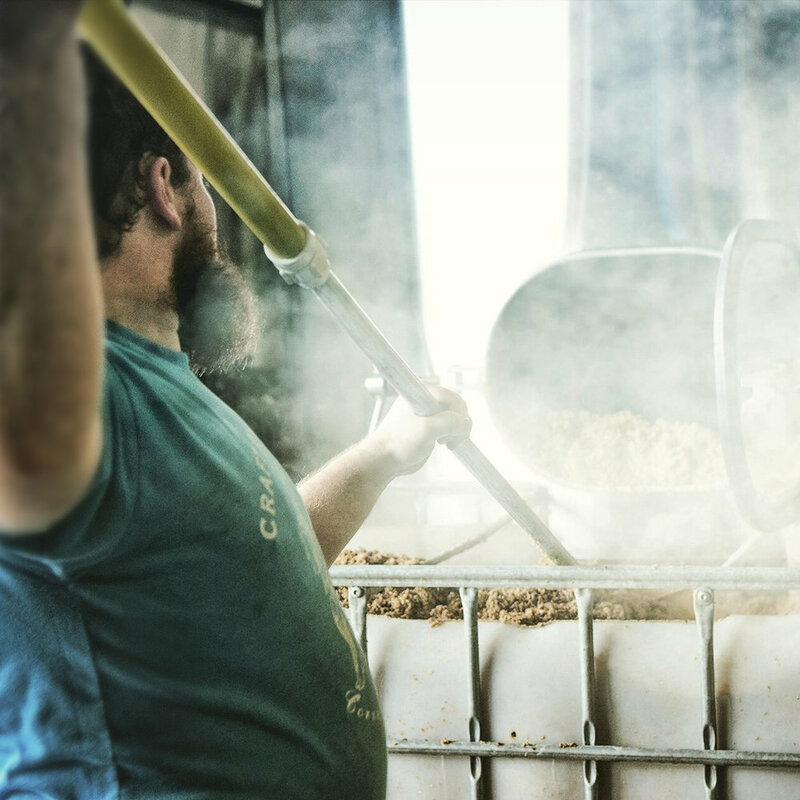 Watch our brewers hard at work brewing the beer you love while you enjoy killer food off of our menu. Enjoy a selection of hot & cold sandwiches, served on fresh bread from our on-site bakery. Enjoy a beautiful view of Mary’s Peak from our covered outdoor patio at our Tap Room. 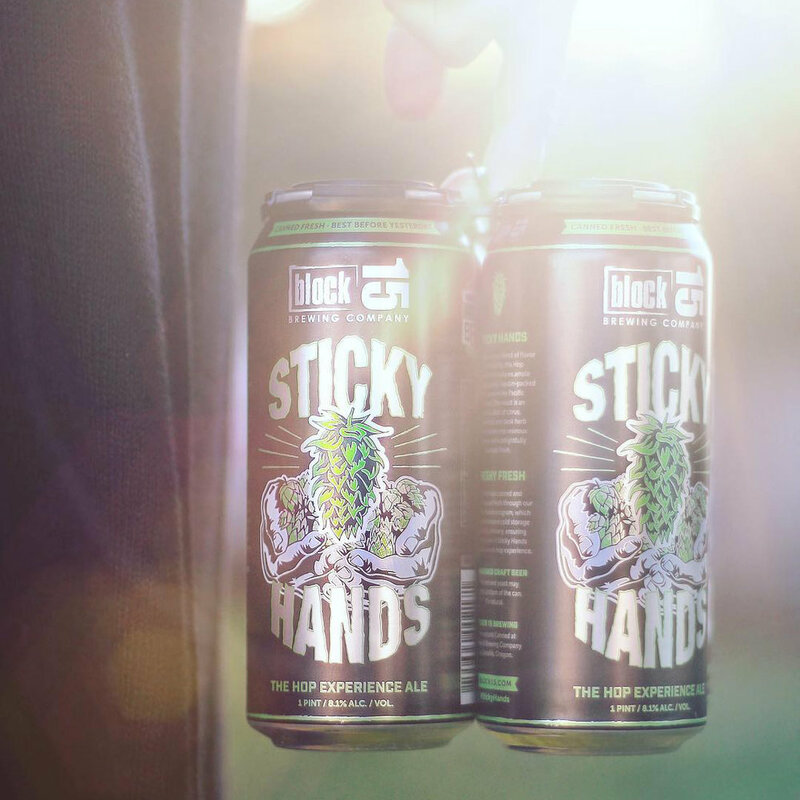 Purchase beer to-go, fresh from our brewery cooler, including Sticky Hands, Gloria! pilsner, seasonal and monthly canned IPAs, bottles from our Abbey Series, monthly bottles from our wild and barrel matured programs, corni fills, and 32oz Crowlers filled fresh from the tap. See our menu below for cans & bottles currently available at our Tap Room! Many of our draft beers are also available in Corni and 50L kegs. For more information on dock sales, including pricing and available beers, please visit our keg sales page. Our tap room is located at 3415 SW Deschutes St. in south Corvallis—2 miles south of downtown, behind Willamette Graystone. With covered bike parking and a bus stop within walking distance, you can easily bike or walk to our rural tap room! Super fresh beers brewed on-site, bomb sandwiches from our in-house bakery, and stellar snacks from the Block 15 & Caves kitchens, as well as artisanal purveyors from around the region. Build your own Brewer's Board from a rotating selection of locally-produced & house-made charcuterie, cheese, pickles, relishes, and sauces. *Enjoy Hoppy Hour by saving $1 daily 3-6pm. Sesame seed sticks, pretzels, pumpkin seeds, peanuts, and dried mango. House queso, refried black beans, shredded romaine, smoky salsa, guacamole, sour cream, and cotija. Warm pita, carrots, cucumbers, and mixed olives. Shredded Denison Farms spinach and cooked bulgar with almonds tossed in our shallot vinaigrette and topped with snow peas, Face Rock aged cheddar, chopped bacon, chives and lemon zest. Served with bread. With roasted cashews, zante currants, and cilantro. Greens, cucumbers, sliced apple, and roasted pumpkin seeds with choice of dressing. Served on house-baked bread from our bakery. Smoked and pulled chicken, soprasetta, pea shoot-cilantro pesto and Face Rock aged cheddar rolled and baked into our house pizza dough. Served with a side of house marinara. Oregon bay shrimp salad made with mayo, lemon, onion and daikon radish served in a soft roll and topped with melted Face Rock aged cheddar and chives. Jerk seasoned and grilled zucchini, eggplant, GTF leeks and The Mushroomery shitake mushrooms with bourbon barrel pickles, melted Tillamook Swiss, and basil aioli on a pressed baguette. House smoked chopped Carlton Farms pork shoulder, Carolina-style slaw, and choice of BBQ sauce on a toasted bun. Tender sous-vide chicken breast, brown sugar glazed bacon, artichoke-olive tapenade, spinach and basil aioli on house baked Kaiser roll. Marinated and grilled carne asada, lettuce, tomato, guacamole, house curtido, chipotle crema, and cotija on our telera roll. Select kids menu items are served with Juanita’s tortilla chips, carrot sticks or apple slices, and choice of milk or strawberry lemonade. Tillamook cheddar melted on house baked flatbread. Apple slices, snow peas, house-made hazelnut butter and warm pita. A mini version of our pulled pork sandwich. 1/4lb beef patty w/ cheese choice and side of pickles.